Dr. Steve Wilke is a leadership consultant, a marriage and family therapist, an author, and an international speaker. His professional expertise includes: Leadership, counseling/psychology, relationships, parenting and spiritual development. He holds a doctorate in Clinical Psychology, specializing in Marriage, Family and Organizational Systems. He is the Principal and Co-Founder of LEADon, Inc. LEADon is a consulting firm that seeks to impact leader’s productivity and profitability through a specific principle-based approach in order to develop both individual leaders and high performance teams, and the team specializes in the organizational and relational management of business. LEADon believes that corporate culture is the foundation of any business. LEADon focuses on helping corporate families establish a strong foundation of principles and trust that enables them to conduct business more productively, thereby increasing their bottom line. Steve is the author of 6 books: The Leading Edge, Corporate Family Matters, Dealing with Depression, Answers to Anxiety, Straight Lines for Parents, and Sacred Search Couple’s Conversation Guide. Steve is a renowned leadership expert on a variety of leadership, social, marriage, family and spiritual development topics, and relationship matters. His energetic and engaging style has been the hit of many associations, conventions and CEO meetings – as well as many conferences and retreats. Many clamor for the “Wilke magic” which motivates executives, leaders and his audiences to become more focused and productive in their personal and professional lives. Steve is married to Dr. Rebecca Wilke. They have two wonderful sons, their incredible wives and one granddaughter. Corporate performance enhancement through transformational leadership development. 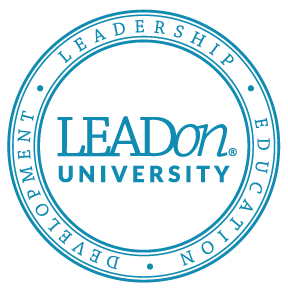 LEADon is a highly respected organization focusing on corporate performance enhancement through transformational leadership development. Founded in 1998 by Drs. Steve and Rebecca Wilke, LEADon has assisted organizations, executives and their teams to increase productivity and profitability through their principle-based approach. Based in California, LEADon works with organizations around the world. For a full list of services visit here. Dr. Wilke’s work and success with various organizations (for profit, non profit, private, public organizations) has led him to author two books related to corporate leadership: 1. The Leading Edge,and 2. Corporate Family Matters. These books provide leaders with a hands-on tool to cascade LEADon skill sets to every member of their corporate families. To positively impact 21st century leaders who want to develop high performance teams and corporate cultures in order to increase productivity and profitability through LEADon’s principle-based approach. Making an impact through developing individual leaders and high performance teams, and creating and developing organizational dynasties. Dr. Wilke assists companies and organizations that want to enhance their corporate culture as well as equip employees in the leadership skills necessary for success in today’s marketplace. 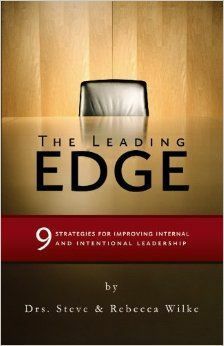 The Leading Edge is a straight line approach to leadership. It equips men and women with the critical personal and professional skill sets missed in college or business schools–i.e. relationships. Relationships and communication are the foundation of business. Without a strong EQ (Emotional Quotient) there are significant inefficiencies in business. The Leading Edge addresses this integral part of business by showing how these deficiencies lead to decreased company performance. It shows chapter by chapter how the relational side of business can be revamped and how it will significantly increase the bottom line. Does the culture of my organization really impact the bottom line? How can I develop Leaders and Managers? What does it mean to be a Cultural Translator with the generational groups in my workplace? Is my company more of a Corporate Family than a group of employees? What solutions can I implement in order to build a High Performance Team? How can I improve my Emotional Intelligence so I can effectively work with people – inside and outside my organization? Because it is one of a kind, its principles guarantee an increase in leadership, team, and company performance and ultimately a bigger bottom line. Click here to get The Leading Edge. Click here to visit Steve’s Amazon author page. 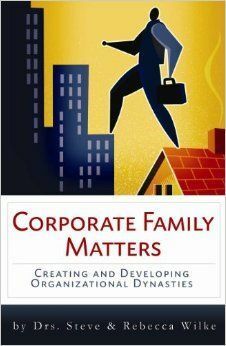 Corporate Family Matters is a book that reveals the unique professional perspective that corporations are families and function like them. It shows how leaders who guide the corporate family are looked up to like parents, while all employees experience varying degrees of sibling rivalry. The stresses and strains in companies are often due to corporate family history and dysfunction. This dysfunction can directly be attributed to a decreased bottom line and profitability. Corporate Family Matters’ main objective is to help leaders discover the unique professional perspective that their companies are families and that their most valuable asset is good relationships with people. Can addressing corporate family secrets impact the bottom line? Does accountability in my business include parenting my corporate family members? In my corporate family, does sibling rivalry take away from profitability? Do generational groups in my organization distract our corporate family from meeting the objectives of our business plan? How do mergers and acquisitions create a blended corporate family? Corporate Family Matters shows how productivity and profitability will increase when leaders and their teams build strong family ties that leave a lasting legacy. Click here to get Corporate Family Matters. Do you ever feel anxious? Have you experienced panic attacks? How about obsessive thoughts or compulsive behavior? Or do you assure yourself that worrying is effective because most of the things you’re anxious about never become reality? Anxiety is a serious problem facing many of us. Drs. 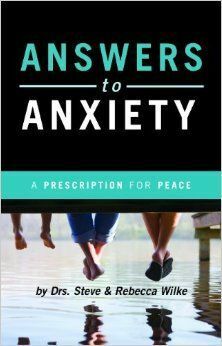 Steve & Rebecca Wilke will help define the causes of worry and fear in our lives and give clear steps on how to control anxiety in their new booklet, Answers to Anxiety. Click here to get Answers to Anxiety. While most of us get down from time to time, nearly one in five people will be depressed enough to need professional help. All of us will know someone who suffers from this type of depression. What causes this problem? Is is physical, emotional, or spiritually based? Is there a cure? Are medications for depression addictive? Are medications Biblical? Is there a cure for depression? Drs. 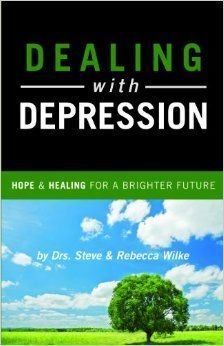 Steve and Rebecca Wilke will answer all of these concerns in their new booklet, Dealing with Depression. Click here to get Dealing with Depression. Parenting is all about Straight Lines and there are specific strategies parents can implement that will greatly enhance their effectiveness in raising their children. Not just any children but exceptional children! Straight Line Strategies are more important than ever for parents living in the 21st century. Our society is in the midst of major cultural shifts, which can negatively impact parenting if intentional effort isn’t made to follow specific guidelines for success. 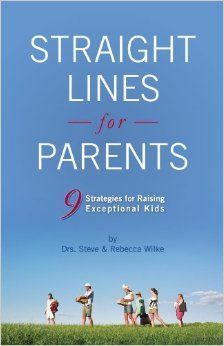 Helping parents discover these practical Straight Lines to raise motivated, caring and competent children who exceed expectations is the goal of Straight Lines for Parents: 9 Strategies for Raising Exceptional Kids. These strategies are simple and straightforward and they will strengthen your parenting skill sets. You can raise exceptional children and there s no better time to start this critical parenting journey than today! Here are a few questions that Straight Lines for Parents will answer: Why are the Three Pillars of Faith, Family and Education so critical to exceptional parenting? How can we develop Relational Equity that will increase the potential for raising exceptional kids? Are there ways to help our children become more Self-Disciplined so we don t have to spend so much time disciplining them? How does exceptional parenting impact this and future generations? How can we become an expert in our children so we can guide their educational experiences? How will the concepts of Scholarship and Inoculation help kids become exceptional? Click here to get Straight Lines for Parents. 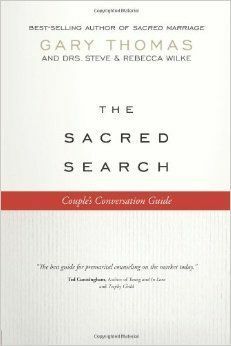 Click here to get The Sacred Search. Dr. Wilke assists companies that want to enhance their corporate culture as well as equip employees in the leadership skills necessary for success in today's marketplace. Dr. Wilke has authored numerous books, speaks nationally and internationally, and also enjoys sharing his leadership skills via the Internet, radio and television. © 2019 Dr. Steve Wilke. All Rights Reserved.